The book »Groundwater around the world« presents a unique and up-to-date summary of what is known about groundwater on our planet, from a global perspective and in terms of area-specific factual information. 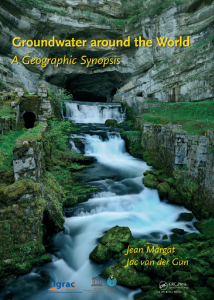 Unlike most textbooks on groundwater, it does not deal with theoretical principles, but rather with the overall picture that emerges as a result of countless observations, studies and other activities related to groundwater in all parts of the world. The focus is on showing the role and geographical diversity of groundwater—a natural resource of great importance in daily life, but poorly understood by the general public and even by many water sector professionals. Now available as a free PDF file!